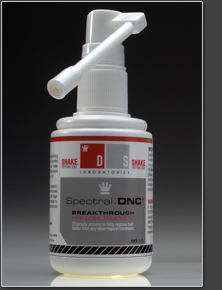 Spectral DNC is the worlds most effective topical hair loss treatment designed for androgenic alopecia and other types of hair loss in men. Clinically proven to help re-grow hair, it is also significantly more effective then Rogaine or any other topical hair loss treatment currently available. Spectral DNC works by combining the effectiveness of Minoxidil 5%, Aminexil SP94 (both clinically proven to help re-grow hair), Retinol, Vitamin Complex , Herbal Extracts & Nanosomes all approved by the FDA in treating male-pattern hair loss for more then 15 years.